For this article I will list down some very simple easy to follow trouble-shooting method for most computer. We do not need to have the professional technical background and knowledge to perform or do most of this stuff. One of the most common problems that a person who uses a computer is that the computer has no power meaning no sign of power is flowing. There is no light, no sound or beep, the power supply fan is not moving, heck even the light indicator of the monitor is not blinking. Check the following item, first the power supply must turn on and connected to the wall socket or check the UPS if you’re using one make sure to press the power button of the UPS. If both items mentioned above has no problem then check the power cord that is connected to your computer make sure it is properly plug in at the back of the system unit and properly plug in at the power supply unit or UPS it is connected to. Another thing if you’re not sure if the inside wiring of the power cord is not broken then try changing it just to make sure that it is not broken from the inside. And last but not the least make to really push all those power cord in there respective socket just to make sure they are properly plug in. Most of the time these solution will work to solve the problem stated above. If this not solves the problem of NO Power a qualified technician is needed to check your computer. Another common problem of computer is the NO DISPLAY error. To correct this problem by yourself, try this simple solution. Go to the back of the computer or make the back of the computer accessible to you. Then check if the data cable of the monitor or LCD is properly connected to the output port of the video adapter. If is it connected, try removing it from its connection and reinserting it again carefully. The reason for this is the contact inside the connector and output port seems to generally worn out or become grounded, so in order to refresh the connection, detached both of then and do a little cleaning of both ends and reconnect them both carefully while observing if a display will appear in the LCD or monitor. If the display has appeared then gently screw the side screw of the connector to lock it in. Another way is to replace your old monitor with a new one just to make that it is still functioning properly. IF this solves the problem then your monitor simple needs replacement. But if the problem persists then you will needs assistance from a qualified technician to fix the problem. You’re computer is a machine that needs to used properly and efficiently to become more productive and useful in the long run. If is not made for heavy gaming then do not play games that require large amount of resources. Make sure to shut it down properly, do not just unplug the cord or press the power off button of your power supply unit if you’re in hurry to shutdown your computer. Not shutting it down properly will create a lot of serious problem in the long run. Eventually this habit of not shutting down your computer properly will comeback to hunt you, in several form or very serious problem that will needs time and money to fix. Remember preventive measure is better than fixing the problem of the computer. Do not treat your computer as it where just a tool that is used everyday but treat your computer as a friend and you will benefit from it in the long run. 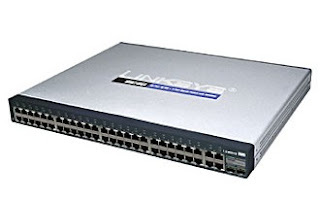 A Peer to Peer Local Area Network is a LAN that has no true servers connected in the network. All workstations on the network can share files and resources within the network. A peer-to-peer network is commonly composed of computer with fully loaded software like the operating software and different types of application program installed in the entire computer within the peer-to-peer network. To further illustrate this network setup. Lets say your in a small office and this small office has ten computers and each has it’s own printer. If one employee needs a copy of a certain report then the employee who have that report needs to print the said report and photo copy it the number of times that it requires so that every employee that needs it will have a copy of it. Also since all computers have each own printer, then the cost of just buying an ink for several printers is very huge. There should be at least one reserved pack of ink for each printer. But them there are ten printer to supply to, multiply it by ten them you need at least that minimum amount just to make sure very printer can be able to print daily without interruption. Also if the office needs to have a shared internet for each personnel then this would be a problem since internet connection for commercial or business use is expensive compare to internet for home usage. Another thing is the supply of paper needs to be in a constant flow since a lot of paper will be used to communicate between employee and the boss. Also all employee needs to be updated properly on a daily and weekly basis. To solve this one would think that we need a very expensive device to link all the computers in the office? The answer is a big NO; a simple office only needs a simple network that can share resources like paper, printer, files and internet connection. It doesn’t needs a full blown big local area network to solve the problem mentioned above. First we need a first level Network SWITCH not a HUB but a Intelligent SWITCH. Then we need one or two box of Unshielded Twisted Pair Cable depending on the size of the floor area of the office. And last but not the least we need connector called RJ45 to put at both end of the UTP Cable. One end of the cable will be connected to the Network Switch while the other end is connected to the computer. Do this repeatedly until all the computer in your office is connected to the network switch. Okay you’ll ask how I will know that I did the proper UTP cable configuration. Sorry my fault, before you begin any connects you needs to know the proper UTP configuration so that those RJ45 will not be wasted. Or if you do not have the necessary technical background to setup a small peer-to-peer LAN then, suggest it to your company to have it installed by a professional company. Okay lets say the network is up and running, then the next step is hire somebody who has the proper technical knowledge and expertise to manage your network and all it’s resources. You’ll say I though that was going to save some time and money, but is sound it already cost more to have a small LAN and a person to mange it. Yup the initial investment is big, but if you study the long term cost then you’ll see that all the initial investment is worth it. The paper that needs to be bought would be dramatically lessen, every employee can share a report electronically and a lot faster compare to the old ways of having it given to each one by hand. Another is the entire office can share only in one or two printer compare to the ten printer the office previously needs. Also the ink that will be needed will be very much lessening compare to the old ways of ink storing. And also every employee can have an internet distributed via the network. Then the office will become more productive will less maintenance cost of consumable item and therefore save more time and money to operate. Computer 101: Different Function of a Personal Computer. The most common type of computer nowadays is the PC or Personal Computer. This type of computer can found in almost all places that we do our daily activity like in school, at work, home, and some other commercial area. This computer can do a lot of things for us like typing a report, surfing the internet, playing games or watching movies to name a few. But the real benefits of having the computer wherever you are is doing all those mention above simultaneously. In computer term we call this as MULTITASKING. It simply means doing different function or work at the same time. We can do our report while at the same time we listen to music we download items from the internet. More time can be saving by doing work at same time. Another aspect of a personal computer is that it can also be programmed to do just one specific task over and over again. An example of this an ATM machine where we get to withdraw our money even if the bank is close or during weekends and holiday. Also we would no longer go directly to the bank teller and give our passbook to withdraw our money. We just need to input a few items, like the PIN number for security purposes, the type of account that we have and the amount that we need to withdraw from our account. Most people think there are some super computers inside those front panels that we used to access our money. But the truth is it is only a PC the same computer that we used in our home. If it where a super computer then it would be truly pensive for bank companies to have almost everywhere even in places where there is no bank branches. Like Malls where a lot of people go everyday. The function of these PC or computer is just to allow people to have access to there account instantly without going to the bank itself. Another customizes work for the Personal computer is the Cash register of a supermarket. These computers have software in them that allow various prices stored in another computer to be displayed into the cashier computer whenever a product is read via the bar code. It also computes for the individual amount of the same item and computes for the total amount purchase by the costumer and when costumer pays the total amount the cashier enter the amount tendered and the software in the computer computes for the change and will also print a result of the transaction. This process is repeated over and over again for each costumer all day long. This PC functions as a cash register year long. Nowadays we have the gaming platform like XBOX, PS3 or Nintendo to name a few. But back on the all day’s personal computer were use as gaming PC. Again the specialize software is programmed into the computer and computer is house in an arcade type housing with its own key pad not unlike the keyboard of the personal computer. The people just simple drop a token and select the game and input a few more information and press the start button to begin the game they have chosen to play. The Personal Computer has really come along way from a multitasking computer to specialize computer that has been programmed to do specific task over and over again. It has spawned all sort of computer types, from the super computer, to mobile computers like the laptop and its cousin to small computer that has evolve to become more sophisticated because of the tons of function it can do. With the current trends in Smartphone development in its hardware and software component, a far more complex application can also be put inside one of those Smartphone models. The application is for medical use, it works by monitoring the overall health status of a person not just a single item like weight or calorie intake. This application has a hardware part in two different places. The first hardware is located in the phone itself and the second hardware component is located or embedded somewhere in the body of the person being monitored. Sound like Star trek tech but not really, embedded system has been around for some time and has become smaller in physical size enabling it to be place almost anywhere and every item that needs to have a customize programming or set of specific function for that machine. The embedded hardware component is the main monitoring and alert system for the specific person. It must be capable of reading the current and sudden change in the body physical condition. It must be able to monitor the following Heart beat, blood pressure, pulse, oxygen intake, blood cell count, calories intake, weight, and a whole lot of other stuff that concern a regular person health status. Also these embedded systems must also be able to store information regarding the history of the health of the person to be able to accurately measure what is the ideal health status. It must contain a complete system for data for each individual vital sign of a person. Another function of this system is the alert function, which means any sudden or gradual changes in the physical health condition must sent to the intended receiver of the data. This can be by communicating with the other half of the application contains in the Smartphone that the person uses. This embedded system must be able to also produce a low emission short wave radio signal that it will communicate with the application inside the Smartphone. Also the application in the Smartphone can access the data collected by the embedded system and display it as human readable form. The alert signal will be sent from the embedded system via the Smartphone then the Smartphone will send the alert signal via text or call or any other form of communication to the intended receiver of the alert signal which is usually a doctor. Also the application in the Smartphone can also collect and store the information being sent by the monitoring system embedded in the person body and display all them in real time mode. Another thing is that this data can be used by the doctor in determining the treatment needed to cure or correct the situation of a person health. This application must also be affordable so that many people will be able to use them to personally monitor their health status on a daily basis. The Smartphone application i am blogging right now my exist or not does not exist yet, but if ever it become real in the near future then a lot of people will truly benefit from this and will make the Smartphone become not just a fashion item for some but a necessity for the many people. Also this application will really make a Smartphone a lot smarter and valuable. SmartPhone or Computer that Do More than Just Make A Call. How time passes by and so is the development of the technology involved in creating and developing the personal computer and other devices that is associated with it. One example of this is the mobile from it early bulky appearance and call function only, to personalization and fashion style and adding SMS and MMS then again to colour display, MP3 and movie player with powerful camera and an ever expanding Memory card. Now we have packed every imaginable application to the mobile phone and making it a smart mobile phone. How smart is the smart phone today. First all latest smart phone from Apple I phone 4, Motorola Atrix and HTC to name a few have a single or dual processor in them to run every bit of the phone and all applications installed in it. The latest smart phone is powered by a dual processor, a 5 Mega Pixel and up main camera, the ever expanding memory of 16 Gigabytes or 32 Gigabytes and the latest Android OS version. Plus a host of all types of standard application from WIFI connectivity, GPS tracking system HD display where watching video has become more fun than ever before. What is the important of having a dual core processor in smart phone; well it can run your favourite games pretty nice and start all those application on a faster mode. The phone can do things simultaneously or it can do multi tasking of all your favourite android base application at one time. More processor also the Smartphone can handle more complex application compare to the regular application let say a weight monitoring and tracking software. A more complex health application would be an application capable of monitoring one’s entire body status from blood pressure and the like to alerting the right Doctor to inform them of their patience condition in real time environment. Bigger memory means lots and lots of music, picture and video can put into the phone without having to worry of getting it full. Also an application runs and reacts much faster. We can enjoy hours of homemade video via the latest smart phone because it provide a bigger storage area. Plus more new application is being created for the entire latest Smartphone model regardless of manufacturer. Adding to the basic and advance feature of each phone and creating a smarter phone compared to its predecessor. With all the new and present application plus the always evolving hardware counterpart it has become harder to choose from a simple view of an ordinary user which would not have any clue on how to use all the available application present in the current generation of Smartphone. All the picture taken and video recorded is also very clear because of the 5 mega pixel camera and watching the playback is also very clear and enjoyable because of the High Definition display for each latest smart phone. With the current trends in the mobile phone industry, old and new player will continue to churn out more and smarter phone feature and adding or expanding current technology and also developing new technology for this smart phone making them smarter than today latest generation of smart phone. Indeed the computer technology has evolve so much that it created a revolution called the Smartphone which have influenced us very much on how we communicate and do our task every day.